Hannah Frederickson always thought the only family she’d have would be the people working for her at the Country Time Bar and Grill. She’s thrilled when, just a few months after realizing her bartender, Deacon Black, is also the man of her dreams, she learns her life is about to change yet again. But why isn’t Deacon as delighted as she is about the news? Didn’t he want this to happen? June Esperanza has been taking care of herself for a heck of a lot longer than she’s been employed at the Country Time. She’s not about to stop now, not even after finding a second chance at love with Calvin Hardy. Then June discovers she does not have a stomach bug, and everything changes. When it comes down to it, can she count on Calvin? Or will she have to deal with this the way she’s handled everything else in her life—alone? As Christmas draws near in the town of Hardy Falls, two couples grapple with the unexpected. Will Deacon embrace Hannah and their new adventure or let his fear and doubt rip them apart? Will June finally bring Calvin into the center of her life or push him even further away? Are any of them ready to face the challenges ahead? 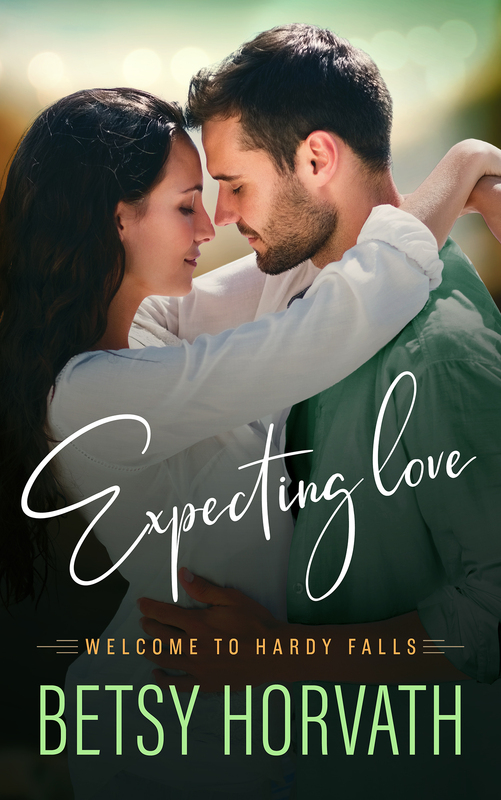 Welcome to Hardy Falls, Pennsylvania, where love can take turns you didn’t see coming. Better just hold on for the ride.